“East Village Guitar Lessons” or “us” or “we” refers to the owners of the website, and the term “you” refers to the viewer or the user of our website. 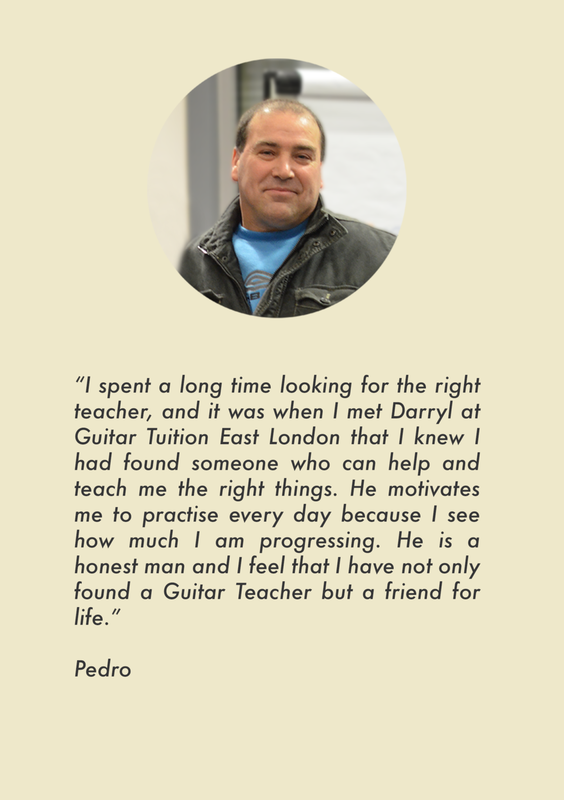 If you wish to contact us regarding anything else besides guitar lessons, please use our contact page else for an application for click here for contact regarding a free guitar assessment lesson. - The content of the pages of this website is for your general information and use only. It is subject to change without notice to the user. - Neither we nor any other third parties provide any guarantee as to the timeliness, performance, accuracy, co.uk pleteness or suitability of the information and the materials found or or offered on this website for any particular purpose. By reading the information, you are acknowledging that such material or information may contain inaccuracies or errors and we expressly exclude liability for any such inaccuracies or errors to the fullest extent permitted by law. - Your use of any of the material or information on this website is entirely at your own risk, for which we will and shall not be liable for. It is your own responsibility to ensure that any product, services or information that is provided and available through this website meets your specific needs and requirements. - Any links to any graphics to this website must be referenced, no destruction or graffiti or removal of the website reference is permitted. Any damages to to the property of Guitar Tuition East London may result in claims of damages and/or be a criminal offence. - Unauthorised use of this website may give to claims of damages and/or be a criminal offence. - From time to time, this website may also include links to other websites. These links are provided for your convenience to provide further information. They do not signify that we endorse the website(s). We do not hold any responsibility over the content of those linked website(s). - You may create a link to this website from another website or document without Poe’s prior written consent. - All reference to this site must be made in regards to Guitar Education, any inappropriate or non accurate reference to this site may result in claims of damages and/or be a criminal offence. - You use of this website and any dispute arising out of such use of the website is subject to the laws of England and Wales.